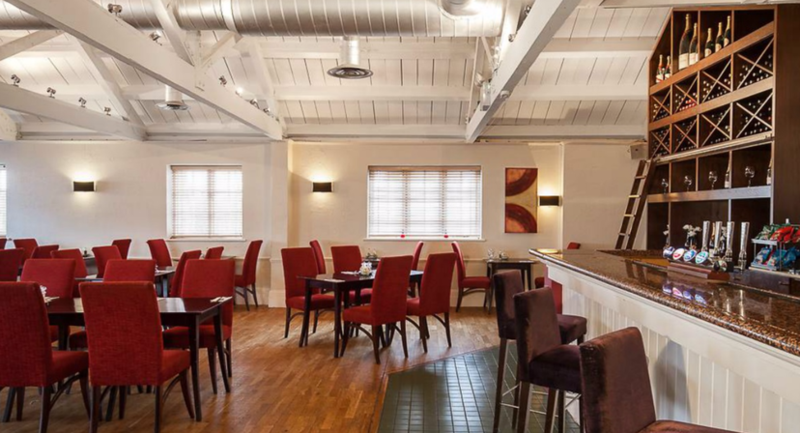 Mercure St Albans Noke Hotel is a four star luxury hotel on the outskirts of St Albans in Hertfordshire, ideal for both business and leisure guests. The hotel features 110 bedrooms, including deluxe bedrooms and a suite. 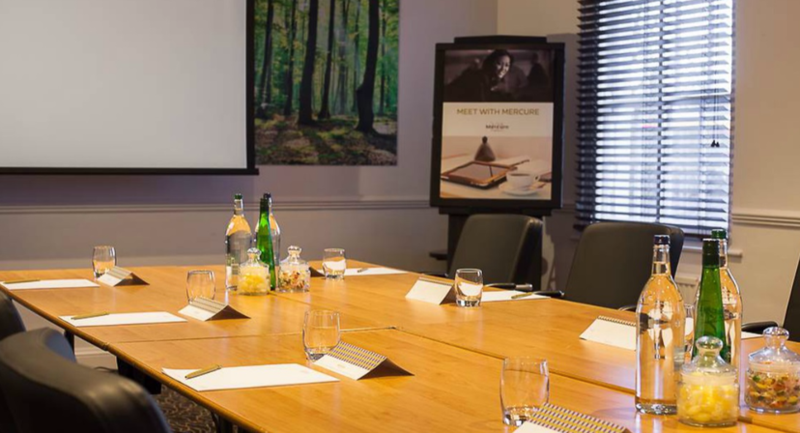 Mercure St Albans Noke Hotel is central for St Albans, Hatfield, Hemel Hempstead, Watford and Luton and is situated just minutes from the M1, M25 and A1(m) and just 25 minutes by Thameslink train from London. The hotel also has a health and leisure club which is complimentary to all hotel residents. Also available for guests is free car parking and super fast wifi. With it's Norman Cathedral, old-world market charm and superb range of restaurants and gastropubs and bars, St Albans is a great place as a base to explore the area. The largest event room, the Marquee, is one of St Albans’ most popular wedding venues and there are rooms licensed for civil ceremonies, so you can hold the whole occasion here, making life easier for you and your guests. Your choice of wedding venue is a huge decision. 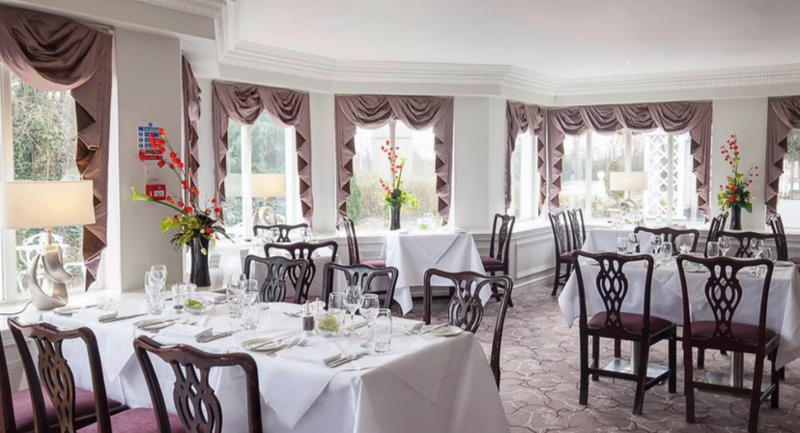 Mercure St Albans Noke Hotel can provide a completely bespoke wedding service, in which every aspect of your day, from the room layout to the wine list, food to flower arrangements, is yours to choose. The Marquee at Mercure St Albans Noke Hotel can be arranged and configured to suit your exact requirements. It seats up to 220 guests for a sit down meal; with the advantages of its own bar, which along with the entire ceiling of the marquee is completely starlit and a black and white dance floor dance floor, it’s the perfect choice. 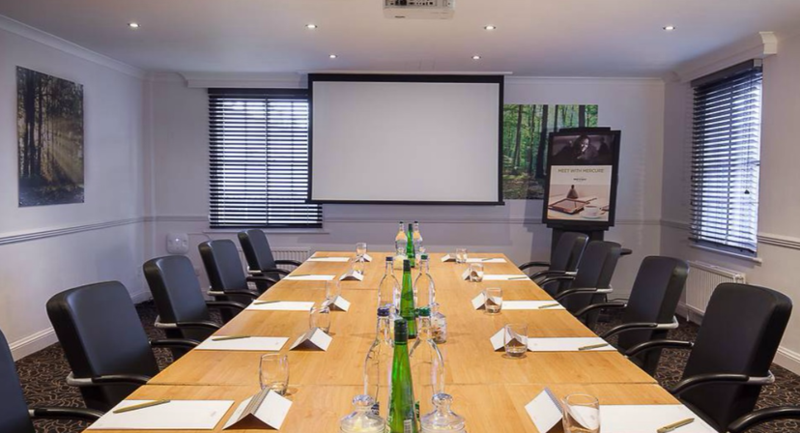 With it’s central location and six recently refurbished air-conditioned meeting and event rooms suitable for up to 60 guests the hotel is a very popular venue for business meetings and events. 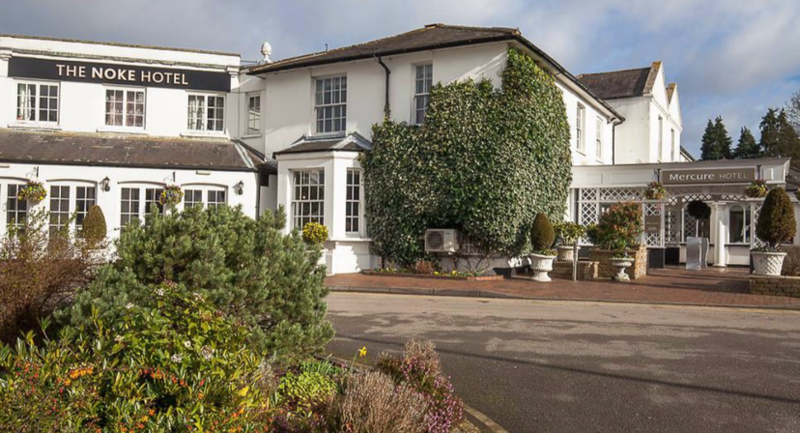 The hotel can host up to 250 guests for a wedding or event in the popular marquee, which makes the hotel one of the largest event venues in the surrounding area. 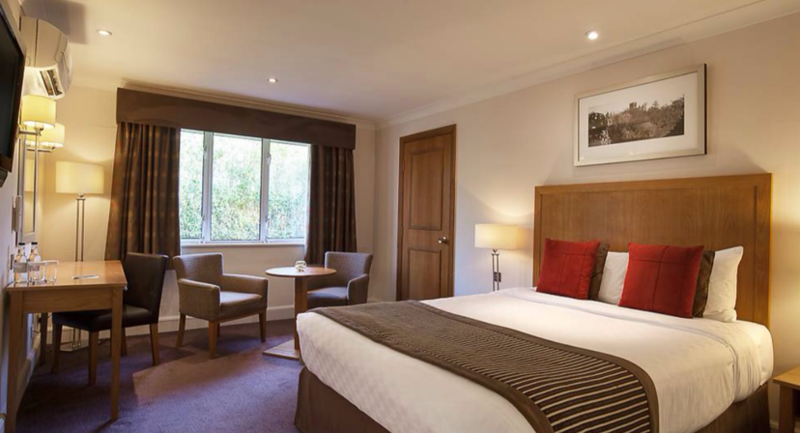 Mercure St Albans Noke Hotel offers guests a range of facilities. 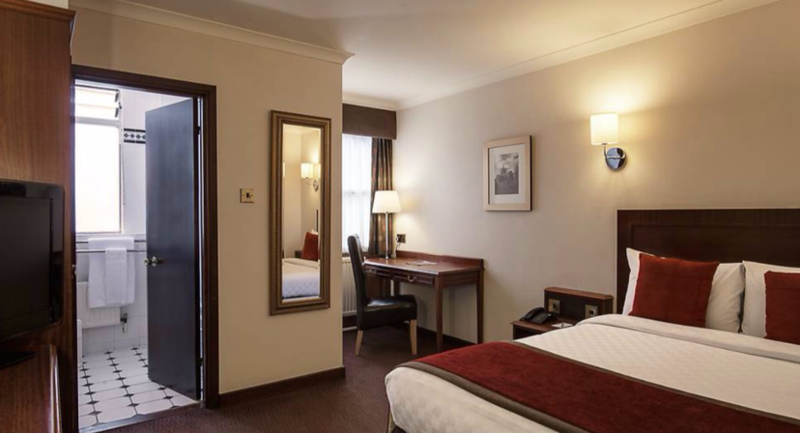 All 110 rooms at Mercure St Albans Noke Hotel are en-suite. The deluxe rooms and suites have the added benefit of being air-conditioned. Dine in comfort in the Noke Restaurant or enjoy a drink, snack or light meal in the Oak & Avocado Bar and Lounge. If you’re starting early, or staying up late, there is a full room service menu available. 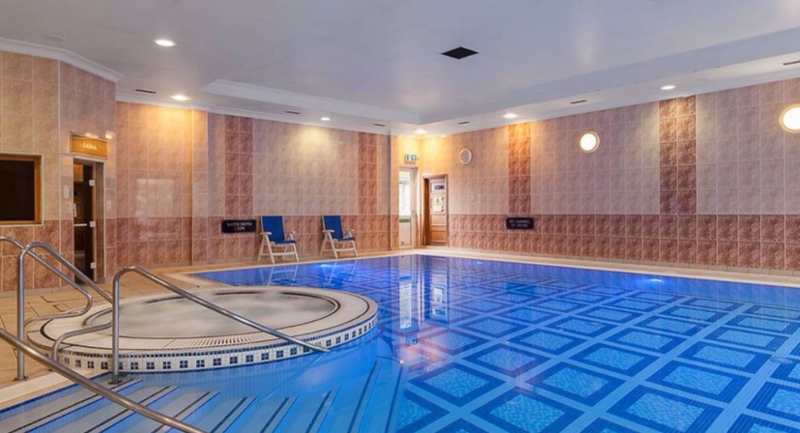 The Otium Health & Leisure Club has indoor swimming pool, gymnasium, Jacuzzi, sunbed, sauna and steam room. There is also plenty of free on-site parking. The hotel is located just 6 miles away from The Making of Harry Potter Tour at the Warner Bros. Studios. This fantastic tour provides an exceptional showcase of the artistry, technology and talent that went into making one of the most successful film series of all time. Other places of interest include, of course, St Albans Cathedral and Verulamium Museum.